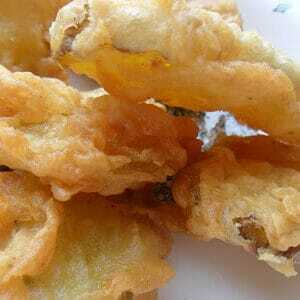 Beer Battered Pickles are great to serve during football games or anytime you want to pucker up! 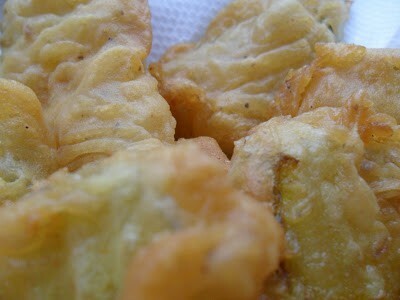 The first time I made these beer battered dill pickles was when my daughter and son-in-law were visiting from Montana. She was pregnant with my grandson and staying with us over the holidays. She asked if I could make deep fried, battered pickles. I’ll be perfectly honest with you, I’d never heard of deep-fried, battered pickles. 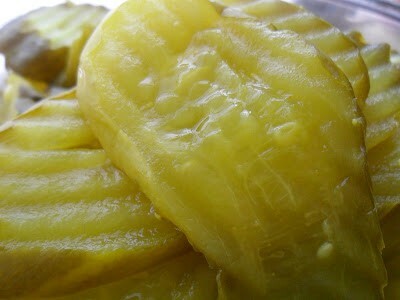 As I’ve stated before, I’m not a huge fan of pickles, but my family loves them. I asked my daughter what deep-fried pickles looked like. Mindy said that they were like deep-fried cheese curds, only made with pickle slices. Well I had made deep-fried cheese curds before. This was going to be easy after all. I decided to use the same beer batter that I used to make cheese curds with. The end results were outstanding! Since I had never had/made deep-fried pickles before I wasn’t sure what to serve them with. Mindy said you serve them with blue cheese or ranch salad dressing. 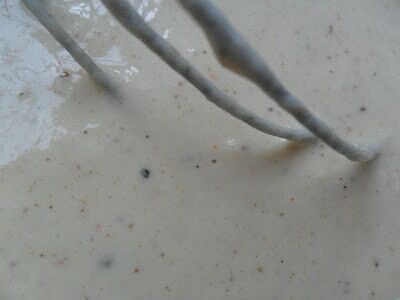 I had an envelope of Hidden Valley Ranch Salad Dressing, mayo and sour cream, so I made a batch of that. My daughter and son-in-law both said that these were the best deep-fried, beer-battered pickles that they ever had and the ranch dressing was fantastic too. I concur! A truly different way to eat pickles! Drain dill pickle slices in colander. 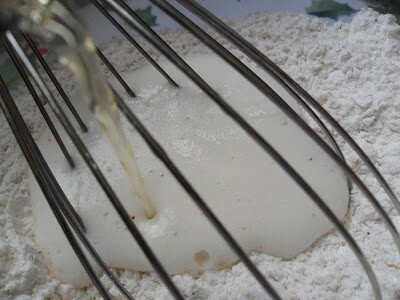 In large bowl, combine flour, pepper, garlic powder, chili powder and seasoned salt. 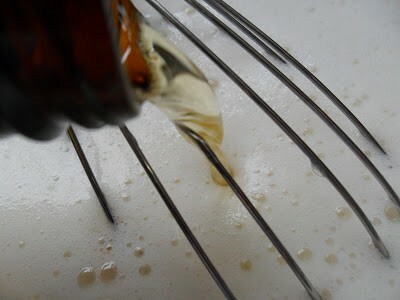 Whisk in beer and hot sauce. 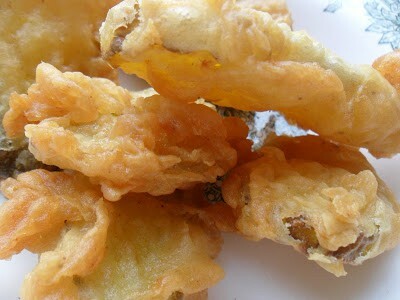 Dip drained pickle slices, one at time, into beer batter, drop into hot oil and fry until golden brown, drain on paper towels. 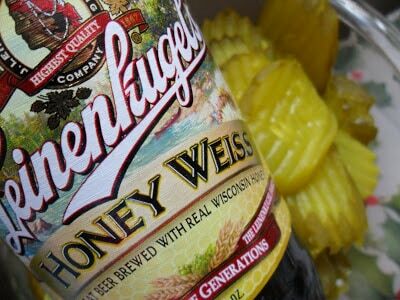 Serve with your favorite ranch or blue cheese salad dressing. 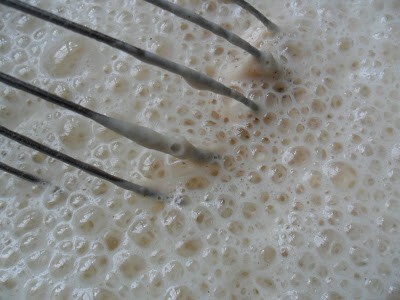 For this recipe we used Leinkugels Beer. Here are a few more Beer-Battered recipes you might enjoy! Beer Battered Deep Fried Mushrooms and Beer Battered Haddock with Tarter Sauce.